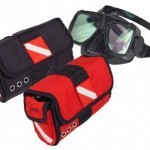 offers membership for dive operators worldwide. Our Members have proven that they conduct their dive operations with the highest regard for professionalism, environmental awareness and safety. Our Members represent the best of the diving industry and exhibit best practices within their industry niche. Our Membership is open to dive professionals by invitation, Member referral or by application. We value the opinions of our readers and all recommended operations are researched by the DivingTop100’s Advisory Board for eligibility. Once approved, reader reccommended professionals are presented membership invitations. Members must meet certain criteria and maintain the highest standards in business and customer service. They must be in good standing with the BBB Online and other monitoring agencies. DivingTop100.com Members must demonstrate an active promotion of the diving industry and are encouraged to publicly advocate environmental conservancy. Our Advisory Board of Dive Professionals consists of eight Members representing different segments of the diving industry. They serve two year terms during which time they are responsible for helping to determine eligibility of Members. The Board Members are able to review prospective dive operations, their practices and public records and voice their professional, unbiased opinions in determining DivingTop100 Member eligibility. In order to raise awareness and build their brands, DivingTop100.com actively promotes our Members across multiple media platforms. Through our Premium Dive Promotion, our Members can capitalize on the power of the web with our easy to navigate resource for the global diving community. We do not redirect viewers to questionable links or disclose our Member’s private information. 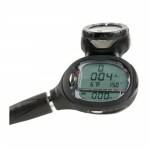 We promote the best Dive Charters, Resorts, Dive Travel, Tourism, Liveaboards and Dive Centers in the industry. 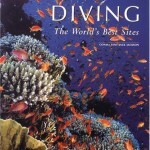 DivingTop100.com is a desirable service to our readers and divers worldwide, but it is also an invaluable service to our Members. Through our unique web development and APEX search engine optimization, we actively promote all of our Members in all major global search engines. We act as a cooperative buyer of Google, Bing, Yahoo and MSN adwords and ads. Since our Member’s company name, contact information and social media information is embedded directly in our actual web code, Members can see their own website rising in the search engines almost immediately. This is provided to Members through their annual Membership benefit, at a fraction of the cost of purchasing direct advertising themself.